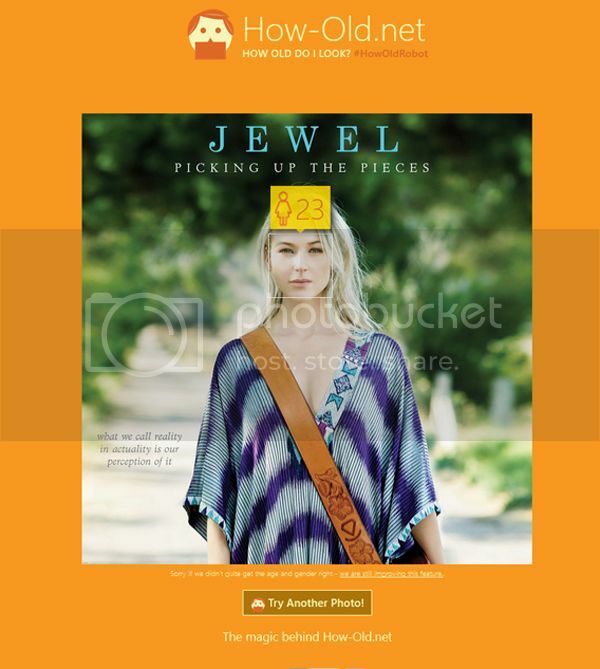 Verified by cutting edge Microsoft technology, Jewel appears to be the same age as she was when she released POY almost 20 years ago! That last picture is Just. So. Wrong. But that's what makes it funny. Take a joke, m8 ... have a little fun in life. In a plot twist, mrnobody is actually one of Jewel's people! So, I asked recently, does Jewel, Alan, or one of her other staff members ever make comments or give feedback to our EDA Forum? I guess (Mrnobody) is kind of an answer? It's all good. Welcome to the board. Did I miss a pic? Jewel does look the same, but she sounds even better. Yeah, MrSoandSo made one with a baby's face and I saw it this morning and then it was gone!